COMMENTS: I absolutely love these colored in clear jars! Worked perfectly! COMMENTS: This salt is perfect and coarse. The crystals adhere well to my CP soap as long as I pat them down and spray them with alcohol afterwards. The crystals also adhere during baths!!! COMMENTS: Nice salt, great price, thank you! COMMENTS: Perfect for bath salts. "Not very big crystals but decent sized"
COMMENTS: The crystals were nice but I was hoping they'd be bigger than that. But I am happy with how they look. COMMENTS: This is my favorite salt base for creating foot soaks and salt scrubs. The size is great especially when paired with medium and fine salt crystals. This will always be my go to!! Love it!!!! COMMENTS: This salt is great for scrubs! COMMENTS: I really like this salt because it makes my bath salts seem more upscale and higher quality! COMMENTS: My customers love this in my sea shell mold soap, have been making it for yrs. I just reciently tried a blend of the sea salts & was a no go! Don’t ever change a recipe if it works! COMMENTS: I love this product. I place this in my soaps and find it works well. It looks very artistic within the layers and produces a harder bar as well. The salt does not dry the skin, opens the pores and detoxifies. I also like the creamy bubbles the salts produce as well. Great product. COMMENTS: I really like these salts. They hold fragrance well, they dissolve easily in bathwater, and they look really great in a jar! COMMENTS: These spa salts are the perfect addition to my bath teas and soaks. They are easy to color to make lovely layers of bath salts and hold fragrance well. I've used a lot of them for my spring craft show. COMMENTS: great quality from crafters choice, as usual! COMMENTS: I hate fine salts for baths. This is just big enough to add a certain elegance to my bath salts. "Use these in bath salts"
COMMENTS: We like the large European bath salts because you can see them in the bath salt mixture. They stand out well against the epsom salts. I would recommend. COMMENTS: This was a nice addition in my bath salt mix. I like to use a variety and this one worked very well for that purpose. COMMENTS: I love this more than any salt in my collection. Large grains are nice!
" European Spa Salts - Coarse Grain"
COMMENTS: These are great to work with, I like them in bath salts. COMMENTS: Can't go wrong with the price! These are very versatile and easy to add colorants too. "Crafters Choice™ European Spa Salts "
COMMENTS: These salts look very nice on top of my activated charcoal soap. COMMENTS: I dyed these salt crystals to top a batch of margarita soap, they looked just like ice crystals! Perfect grain size for this project, I will order again! COMMENTS: I love to use these in my bath salts! they are big enough to see through the package and are nice and white! COMMENTS: Love how rustic they look with my dried flowers. Will purchase again. Good quality and price. COMMENTS: I use these exclusively for my salt soaps. Clean and uniform grains. Makes a nice product. COMMENTS: I love these bath salts. I get a ton of orders for these! Excellent quality and always packaged great! COMMENTS: These European salts are excellent as a base for a saltscrub ovr used along with Dead Sea and HimLayan salts. You can also dye them to present a tempting desire for a relaxing spa soak in the tub! COMMENTS: Love these! Made my skin super soft! COMMENTS: This product just adds a really unexpected texture to everyday salts! COMMENTS: I wanted nice size salts that I can dye,scent and grind myself or use as is. These are a nice size to add to my bathbombs for decoration. If I need to grind it up I can. I will be adding this to my Bath bomb and bath teas. COMMENTS: This is nice to mix with the medium salts. The variety of salt sizes makes a pretty jar. Love it and will order again. COMMENTS: These are really nice and very inexpensive! They mix well with mica's and fragrance oils and work great with bath bombs. However if you're looking for smaller grains in your product I suggest using the medium grain because these were a bi bigger than I expected. None the less work perfectly. COMMENTS: Bought these salts for my line of bath salts and the are great! 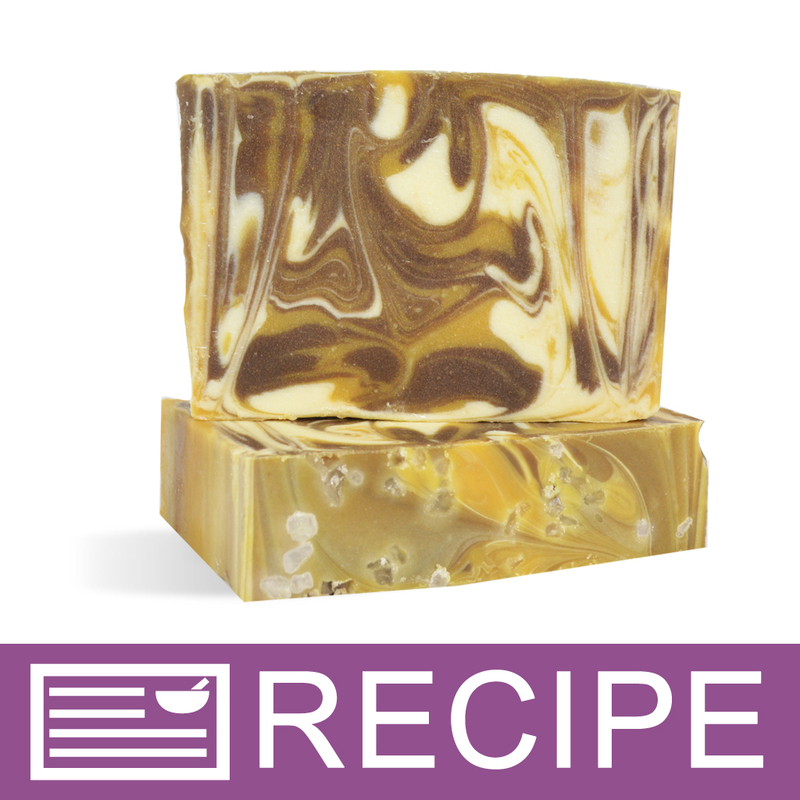 Absorbed FO well and retained smell and looked beautiful with glitter mixed into it! Will definitely buy again in other sizes. 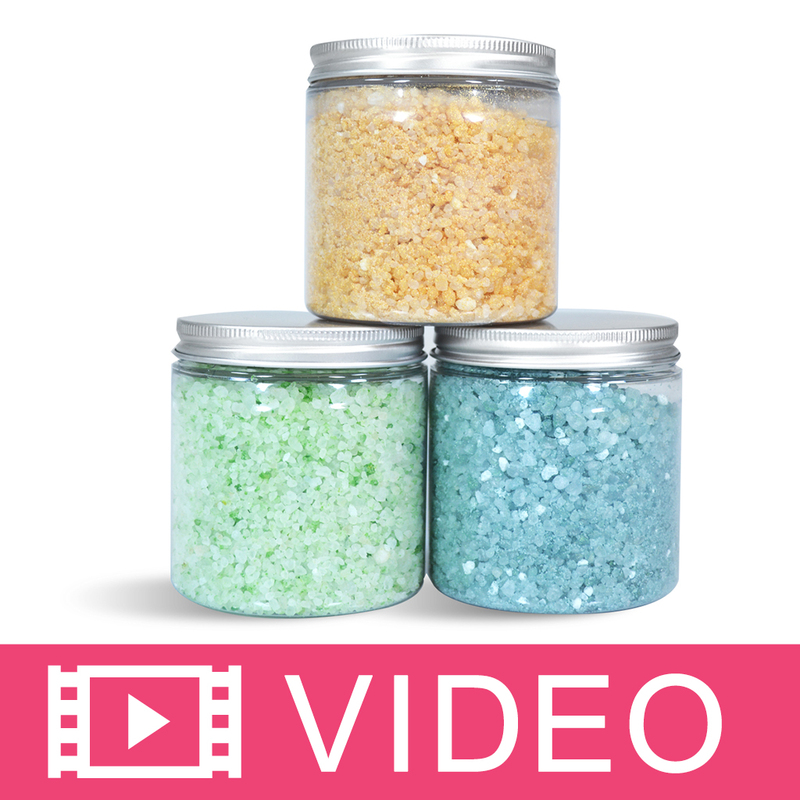 COMMENTS: I used European Spa Salts to make my bath salts and absolutely loved them! I loved what they retained the smell of the essential oils and the colors of the the Bath Bomb colors. Also, as user of the product I love mixing it to my bath water and soaking. Leaves my skin feeling soft and luxurious. COMMENTS: Made bath salts of different scents and colors. Came out great. Gave it as gifts to family and friends. COMMENTS: Worked well, loved the size, I mix these with the medium grain and make some wonderful bath salts for re-sale. COMMENTS: Add your favorite scent and soak.What could be better? 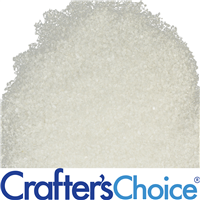 COMMENTS: The European spa salts are a great, course grain, affordable filler to bath salts. They're attractive in the product. The bag is easy to manage and the zipper closes shut easily. COMMENTS: This is great for salt scrubs for your feet and elbows and knes. Customers find it to course for regular skin areas. "Great for Salt Soap Bars"
COMMENTS: I love this salt for my melt and pour salt bars. It holds its shape and looks great in clear or white soap base. COMMENTS: The size of these salts is good for bath salts and bath bombs. Colors well with mica powder. Looks amazing! COMMENTS: Nice in bath salt mixtures. COMMENTS: This is a great salt. The perfect size for bath salts. It takes color and scent beautifully. • The size of grain. COMMENTS: great for baths scented with EO's and colored with mica. "Great Salts and the size of the grain is perfect." COMMENTS: I purchased the salts for bath salts that I mix with other salts and add fragrance. The salts are a perfect size to add dimension to the look of the salt. The price is also very good! I also like the resealable bag. "Nice texture for bath salts"
COMMENTS: I love combining this with other products to make bath salts. It is just the right texture to last in a tub and still be able to absorb fragrances. The minerals it provides are awesome! "Luxury bath ingredient for sure"
COMMENTS: These are a nice size and leave the bath water feeling great. I use them in mineral bath soaks with left over/exploded bomb powder. 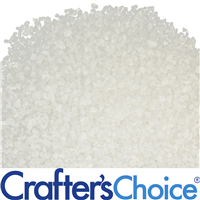 My customers LOVE seeing the word "European"
"European Spa Salts - coarse grainI"
COMMENTS: The coarse grain makes really good looking bath salts. I used these salts in plastic tubes and triangle (carrot) bags and plastic wine glasses. The coarse grain shows up well and makes the salts aesthetically pleasing. COMMENTS: These make perfect bath salts! Customers can't get enough! COMMENTS: Works great in my bath salt recipes. I like it so much that I bought all the three grain sizes. "Spa Salts - Coarse Grain"
COMMENTS: I really like these course grain salts. They are beautiful. • Made and/or processed in USA. COMMENTS: These dissolve well and look attractive. Love them. "Spa owner/Esthetician, Massage Therapist "
COMMENTS: The spa salts are pretty big crystals, I like the course grain because I can crush the large crystals down for scrubs or leave them big for bath salts. I'm so glad you carry them! COMMENTS: Easy to work with, takes color and FO easily. COMMENTS: Attractive and consistent size, free of impurities. Great addition to bath salt blends. COMMENTS: love this product in my bath salts. COMMENTS: No impurities, easy packaging, free flowing, will be buying again. "Like these in bath salts"
COMMENTS: I use this in a cold process salt bar and love it! When I first used it, I was afraid it might be a little scratchy, but it isn't at all. You can see where the crystals are in the soap, so it gives the soap a nice visual texture. But when used, the soap is very smooth. COMMENTS: I put this in bath tea bags and the customers like the fact they don't "scratch". In my own testing, the salt dissolves nicely and it does not scratch when just put into bath water. COMMENTS: Gives bath salts a nice variation in texture. I also use this in bath tea. "Bath Salts and Salt Scrub"
COMMENTS: Fabulous quality at a great price! This product can't be beat. Used it to make carrot salts. Great kit at a great price! COMMENTS: It's good for salt scrub. "Efficiently absorbs oils and FOs!" COMMENTS: My customers love the fact that these salts are from the Mediterranean Sea. I love explaining the origins of the ingredients I use in my products. An educated customer can turn out to be one of your greatest and life long customers! 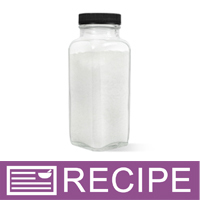 While educating my customers may not always result in a sale, I have had a few customers go home and research the differences between bath salts (which I call Spa Salts) and visit my shop to purchase the salts! Spa salts are one of the most profitable bath products and they can be customized so easily with different colors AND fragrances! I even add Lavender Buds and Red Rose Petals and Leaves to my salts! Note: Mix salts with colorant first, then oils and/or fragrance oils or essential oils. Mix well and spread the mixture out evenly on a cookie sheet and it's best to let them dry for 6 hours or overnight. Once they are dry, put the salts back into your mixing bowl and add your lavender buds, rose petals, etc., mix well, then add salts to your choice of packaging. COMMENTS: This salt is great for use in the tub by itself or used as a base and mixed with oils-- makes your skin soft and muscles feel relaxed.. love it. COMMENTS: Will only buy this product here. Has the best blend and feels great! COMMENTS: I was experienting with salt mixtures for bath salts I was giving to a friend for their birthday. In this batch, I used the European Bath Salts, along with the Epsom and Dead Sea Blend. I really liked the contrast in sizes of the grains that this type of salt added. Unfortunately, it's price will limit how often I use them - at least until my financial situation improves. But I'm really glad I splurged and tried them. I will use them again in the future. The person hasn't received them yet, but I'm sure she'll be very pleased. COMMENTS: Will order again...works great for my salt bars! COMMENTS: This product is clean and free from impurities ! "Used this in bath salts"
COMMENTS: I love the value of this product. 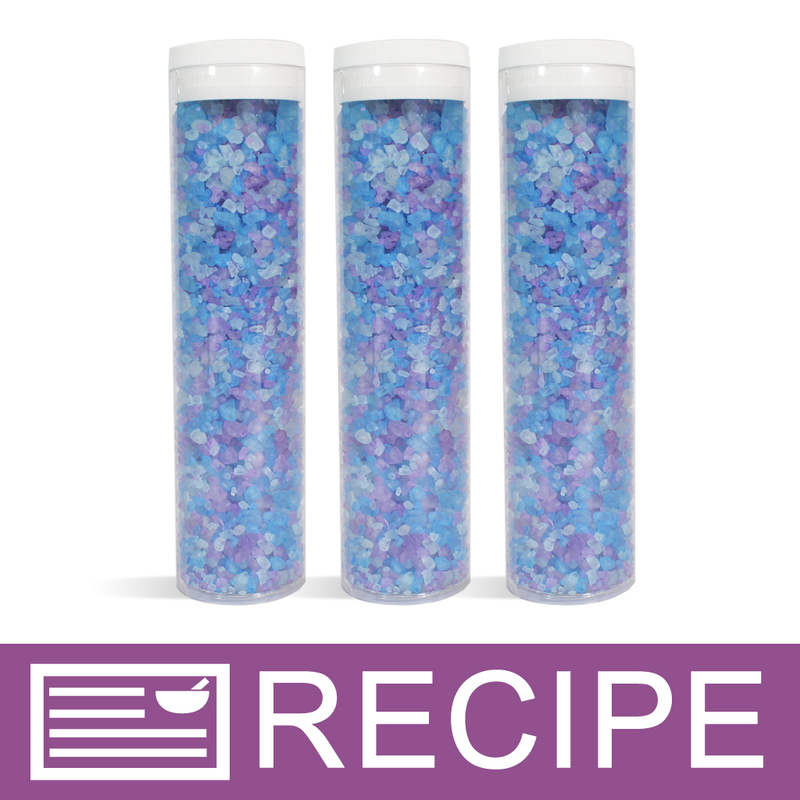 I made party favor bath salts and this product went a long way. I used with pearberry FO and a red water-based soap colorant. Worked great and the salts have not melted so to speak. COMMENTS: Love this salt! The large grains photograph well for product listings. COMMENTS: I love the european salts. They are very strong and have the ability to soth achey muscles and soften the foot calluses quite well. I use this for my foot soaks and bath salts. COMMENTS: I mix these with other beneficial salts and essential oils, my customers love it. COMMENTS: Very nice salt quality for bath salts use. COMMENTS: I love it and my customers love it!!! Perfect Salt! COMMENTS: I use this in a blend for my Bath salts and my customers love it. As well as in my salt bars. COMMENTS: Bought a sample size, need to buy more! Will go great with what I need! COMMENTS: I made my very 1st batch of bath salt fizzes out of these and it turned out perfect. The salts make the entire batch great. COMMENTS: Great product. Easy to work with and takes to colors and scents well. I mix a whole batch in the bags it comes in. "Course, exactly the way I want it." COMMENTS: These salts are very course, but not so course they wont dissolve in the water. They add the perfect texture, and look to my bath salts, making up about 15 percent of my bath salts, is just enough for the perfect texture in my bath salts. COMMENTS: I blend this salt into my bath salts to add more texture when desired. It is more coarse than the medium salt, but not so large that it won't dissolve in the bath at all. Looks pretty. Quality is consistent and can be counted on. COMMENTS: This is the perfect size! If I need something smaller, I hand grind them down. I have been using these salts for years. COMMENTS: I brought these bath salts for my private collection and they feel so wonderful. They hold fragrance oil, essential oil, and natural additives beautifully. I recently had to hide them from my hubby because he has been sneaking and using them during this baths (MEN). They are really that good and if you are looking for new salts to try please try these. You will not regret it! COMMENTS: This is a great mix of different sizes of salt & good quality for the price! So far i have used the salts for making aromatherapy room diffusers, like a home fragrance type thing in a jar. I also plan to try & make some cold process soaps with salts in them. "I LOVE THE TEXTURE "
COMMENTS: These are so attractive without any color added. COMMENTS: These are a perfect size for adding color and showing off. They absorb fragrance very well and dissolve quickly. I love these! "Would these salts be too big to sprinkle on the tops of CP soaps? I'd like to color them and add a little sprinkle of them to the tops of my soaps, but I can't tell how big they are. Thank you. " Staff Answer These salts are fairly large. We would recommend using the medium grain salts instead. "What is the grain size of our European Spa Salt?" Staff Answer The grain size of our European Spa Salt – Coarse is 70% between 2 and 4 mm. "would it be okay to add this to MP soaps?" Yes ~ you can always take the salt and put it in a blender if you prefer a smaller grain. Yes, but wrap well as salt can increase sweating.